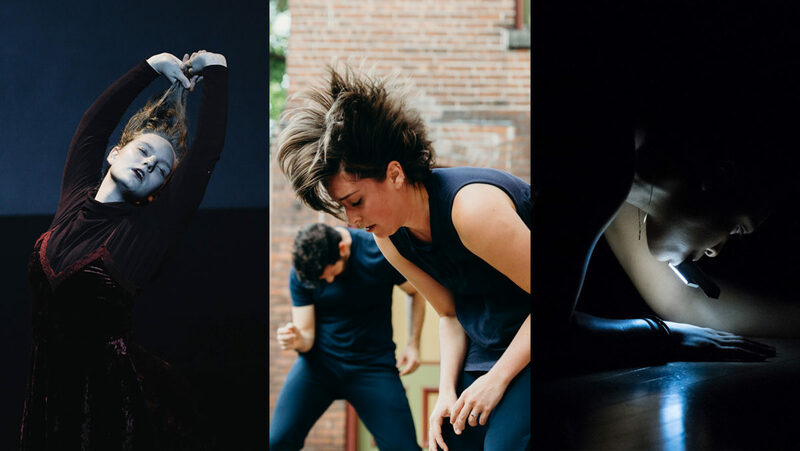 Work Up is an annual residency, professional development, and performance program that supports early career artists. Don’t miss post performance receptions each Friday and post performance discussions with the artists each Saturday. The Main Event is an extravaganza featuring blue party favors, early 2000’s hits and special guest appearances by the perplexed, ponderous, and preposterous personalities inside the performer. This party acts as a place to push at the edges and endure the inescapability of time and action, as they work together as one. We work to locate the underlying yearning that vibrates and subtly echoes throughout the most extreme excitement and defeat. Can a true self-absorbed generosity be generated by bringing people together at The Main Event? Frozen Baby is a collaborative solo featuring Bree Breeden (performer, choreographer) and Kathleen Kelley (designer, choreographer). It stems out of investigations of how queerness, otherness, and blackness can all become imaginative catalysts within the body. Frozen Baby utilizes improvisational investigations to allow the performer to delve into the imaginative practice of creating a new body schema/score from an embryonic state, through hesitant exploration, into a lush virtuosity. A guiding question has been: how can the secret self bubble out? Join us for Living Gallery, a free and live performance in Gibney’s Gallery with Katie Workum on Mar. 1st at 6:30 pm prior to the performance. Catie Leasca photo by Taylor Burton, Hollis Bartlett and Nattie Trogdon photo by Sarah J. Berman, Proteo Media + Performance photo by Ian Douglas.